The bond of a father and daughter is special. When Jules' father asks her to come stay with him because he's terminally ill, she goes for the remarkable opportunity to really know her father. She never dreamed he had liberated a concentration camp, dealt cards to Bugsy Siegel, or saved the life of a Black Panther. 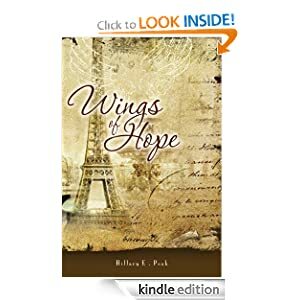 Wings of Hope takes you on a road trip through the memories of a man making peace with his life through his conversations with his daughter. Teaching her that death is sometimes the most heartbreakingly beautiful part of life. Hope is the last gift of a father to his daughter--the power to reach for her dreams.